Mary Mossey is a product manager at AltspaceVR, a social platform for virtual reality. She is responsible for defining product direction, deliverable scheduling, user testing, and integration of design and development team cycles. Previously, she was a freelance user interface designer and researcher specializing in technology for challenging and high-stakes environments such as military, automotive, and healthcare. What motivated you to go into VR? Mary Mossey: It started the first time I tried VR! I had heard about it while working on my Master’s in Human Factors Psychology but had not yet experienced it myself. The potential challenges of virtual reality to someone in my field are fascinating. And then I met Eric Romo, founder and CEO of AltspaceVR to discuss a possible consulting project. I remember that first demo — as soon as I put on the headset, I was like, “Oh my goodness, there are so many possibilities!” It opened a new world for me. Tell us more about AltspaceVR. Mossey: AltspaceVR is using virtual reality to create a new communications medium. You are able to connect with other people, each of you wearing a headset in real life, and you are avatars in a virtual space, but you can interact and share experiences and it really does feel as if you are together. When we talk about the next communication platform, we do so in the context of other forms of communication, from letters, to phone or video chatting, and comparing to the experience of actually being in the same room together. There is a huge difference because, among other things, these other forms of communication do not provide for a sense of personal space, body language, gestures or eye contact. These things are all very important to connecting and communicating with others. We are using VR to close that gap between other forms of communication and actually being together. With VR, you are able to get your body in a space with other people and you get that increased social dynamic and personal interaction. Mossey: I think one of the biggest challenges is that VR is still in its early stage. You may set out to build something in VR and find that you don’t have the tools you need. So you have to build the tools, and then build the thing you want in VR. There are few guidelines to help you get started, so you have to create the design standards as you go. It can be very challenging — sometimes even intimidating. But the most challenging things can be the most rewarding, too. What are some of the projects you have worked on at AltspaceVR? 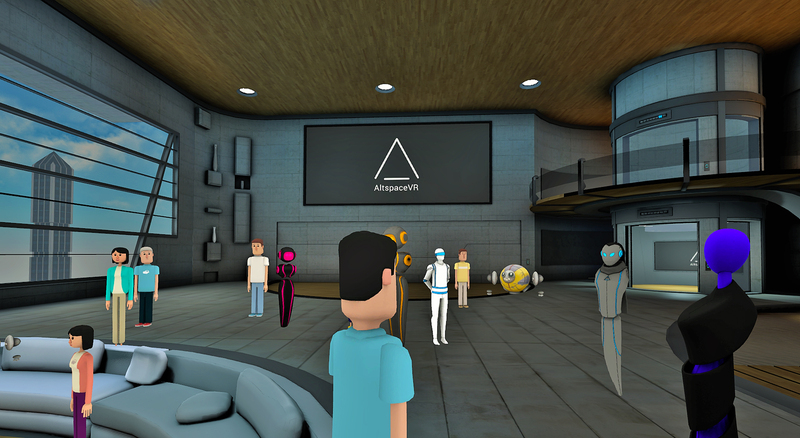 Mossey: There are very few areas of AltspaceVR that I have not touched in some way over the last couple of years. Right now, my focus is on events in VR and working with the team to expand our capabilities as needed for these events. For example, we were developing the product to allow for larger and larger events. Reggie Watts was scheduled to appear in AltspaceVR. We figured that he was going to be a big draw, perhaps hundreds of people, and up until this time no one was able to get that many people into a social VR space simultaneously. We had just developed FrontRow technology that would allow an unlimited number of people to experience the event. Good thing — because we had thousands of attendees! What advice would you offer to women interested in VR? Mossey: I say, if it interests you, go for it. People say it’s difficult for women in a tech field. But it’s difficult to forego something you’re interested in. It’s difficult to pass up a great opportunity. And VR offers so much opportunity and so many interesting projects, and brand new areas of development. I think that people can get intimidated when faced with the unknown — and there is a lot we don’t know in VR. But someone has to do it — and that someone might as well be a woman!